The second day of ADE’s conference offering will be in exactly two weeks. 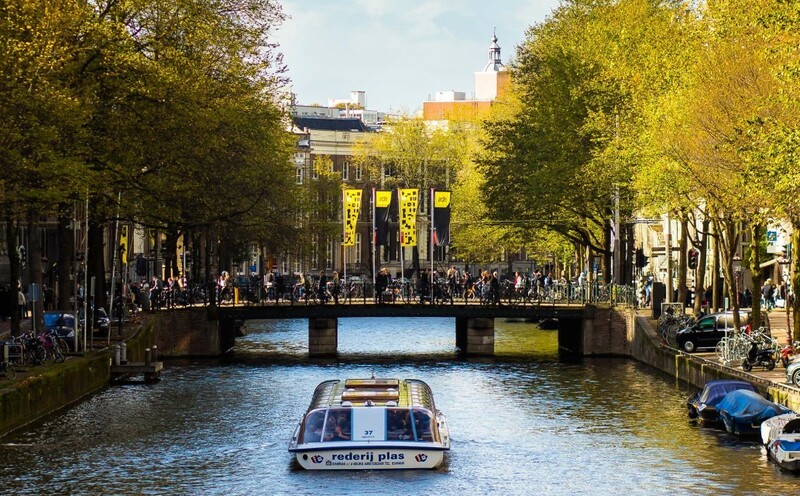 We will be running both ADE Pro and ADE University for their respective second days, plus we also welcome back ADE Tech for the second year in a row at DeLaMar. On top of that we kick off with ADE Sound Lab at the ADE Festival Hangout. It’s a brave new world for the electronic music production, full of pitfalls and possibilities, new gear, old gear, analog, digital, modular and everything in between. Moderator Kim Bjørn and our panel of industry experts will navigate it all including covering hot topics like project workflow, UI, third-party integration, what we might expect in the near future and even what's being lined up some distance beyond that. From emerging underground artists to veteran producers, discover what you need right now to make music that moves the masses and dominates the charts. Following a first round held in the Paradiso in August, this second session will start with a short film of the first round pitches, followed by the best five companies from the Paradiso event attempting to prove their relevance and why they should be taken seriously. Breaking Acts - Towards A Borderless, Global Music Market? Now streaming is the predominant means of listening to music, the idea of national borders is increasingly irrelevant as more and more acts experience breakthroughs in countries other than their own. A breakthrough is a breakthrough, no matter where it happens, and it's what every artist wants, but how does it impact on marketing strategy? Should labels be creating borderless marketing plans? What does a borderless world mean for the ways in which labels operate and how do they form partnerships? What can the indie sector learn from the major label structure? In a world of political polarisation, music seems to be the only art form offering insight into other cultures, whether it’s via foreign artists or from a local act influenced by music from abroad. This phenomenon is especially relevant to the dance floor where politics don't generally matter and open-mindedness is the norm. Could music be the answer to our angry, confusing, over-heated world? Nile Rodgers is an exemplary guitarist, a songwriter with a very long list of global hits to his name, and a producer who has worked with Daft Punk, David Bowie, Madonna, Duran Duran, Diana Ross and, of course, his own band Chic, along with songwriting and production partner, bassist Bernard Edwards. As if all that were not enough, Rodgers is also a hilarious raconteur with a slew of behind-the-scenes stories, some of which he’ll be sharing with the ADE Sound Lab audience. He has used the same 1959 Fender Stratocaster since he bought it in 1973, and the guitar is estimated to have generated around $2 billion in songwriting revenues throughout his career. ADE MusicTalks has established itself as one of the most popular and inspiring events at ADE, providing a real interface between artists and fans who visit the city during ADE. During these Q&A sessions, you'll get the chance to pop the questions that other’s don’t! That same afternoon, Rodgers will also be taking the DeLaMar stage with renowned artist manager Merck Mercuriadis for a discussion about the realities of the fruitful but often fraught relationship between managers and their artists. The duo will also be discussing their plans for Hipgnosis Songs, the strategy behind the recent acquisition of Justin Bieber's catalog and how they intend to achieve their stated aim of taking 20% of the global publishing market. Laidback Luke has seen it all in terms of technology. In this session he'll be revisiting his early days as a vinyl-only DJ and then creating a timeline based around the technology that he used as it became available, recounting how it changed his performances as well as what it enabled him to do compared to previous tech and how that affected the crowd. Each record has a story: a rare 7-inch from that crazy thrift-store in the middle of nowhere, the first vinyl you bought or perhaps a very first vinyl release. At our "The Record Bag of" series, we invite inspirational artists to share their personal stories. No one less than Jayda G, who released her first solo EP Jaydaisms in 2015, and Kenny Dope, who is known as a living encyclopedia of beats, will get their most important, loved and played tracks out of their big, musical bag. During this panel, the two artists will talk about the meaning certain records have and about what kind of feelings they get from them. With both having a broad spectrum of musical interests, like fusions of house, hip-hop, Latin, jazz, funk & soul, reggae and last but not least electronic – it promises to get very interesting and diverse! "The Team Behind" Series is one of ADE University’s best known and most popular panel brands, inviting the best teams behind brands, artists and festival organizations. Headhunterz was the first international hardstyle superstar. He will be bringing his team of agents and managers, plus his PR and label representatives to explain how they make his hectic schedule work while protecting him from the stresses of being a globe-trotting superstar DJ. In addition to the talks and programmes, don't forget that you can learn as much about the industry – and make vital connections to boot – in the lounges of DeLaMar and the Stadsschouwburg. We're sure you'll be booking up meetings already with contacts from across the world – but don't forget that those chance meetings and random conversations can be absolutely vital too. Every year we hear tales of projects and friendships that have been launched off the back of random meetings, and we hope we've created an atmosphere in the Network and Business Lounges that's conducive to more than ever of these! Want to discover more of the Conference Program? Here are the highlights for ADE Wednesday and Friday. Also, see what ADE by Day has to offer you on ADE Thursday, Friday and Saturday. , available here. More program info can be found here. Tickets for ADE Tech (€95,-) are available here. The event is also accessible for ADE Pass & ADE Conference Pass holders, available here. Attend here to stay up to date, more program info can be found here. ADE Sound Lab is exclusively accessible for ADE Card, ADE Pass & ADE Conference Pass holders. Purchase your ADE card here (€15,-). The various passes are available here. Attend here to stay up to date, more program info can be found here. ADE University is the place to be for young professionals and students who are interested in the music and entertainment industry. Tickets for ADE University at the Generator Amsterdam (€15,-) are available here. They are exclusively available for (international) students; you have to show your student ID card at the entrance. ADE University is kindly supported by Fontys Academy for Creative Industries and Born4Jobs.